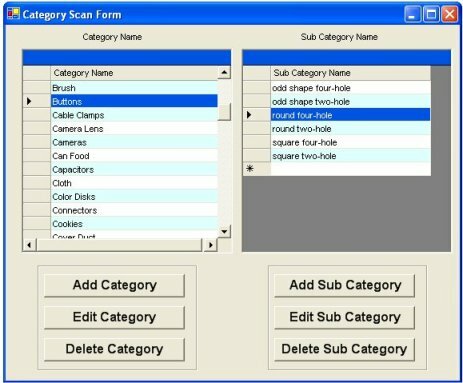 Categories can be created in the software to group the inventory items and create a well-organized efficient stockroom. A category is helpful in quickly locating the desired inventory item. Some items may not have a good description, In this case you can create a category and assign inventory items to that category. The 'Category' screen also supports an unlimited number of sub-categories per category.